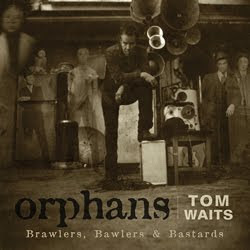 I'd first learned of the re-release of Tom Waits's Orphans box set from a friend of mine, his assurances that new tracks would be included and that it would be put out as a 7 LP vinyl set. After securing myself a copy of the 3-disc limited edition version of this album three years ago, the aforementioned vulgarity was my response to the news, simultaneously wanting a copy though aware that money’s already been spent on most of the album. Do I really want to buy the same album twice just to own six new songs? The angel of fiscal responsibility and the devil of fanboy allegiance are perched on each shoulder, debating vehemently. A little digging on the Internet and the ever-reliable Eyeball Kid had all the info. There was also mention of a live album from the Glitter & Doom tour being released this Fall, which I’ll have less of an issue picking up. 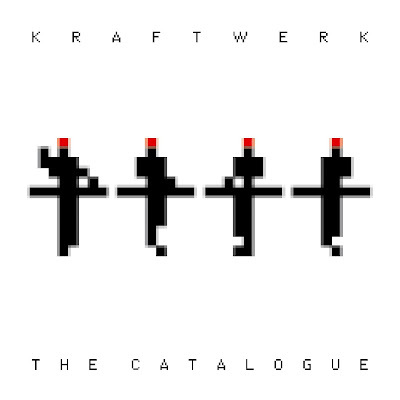 Mute Records will be putting out Kraftwerk's 12345678 The Catalogue: Four Decades of Masterworks five years after news of its release had been circulated. Even promo copies of the original box set went out only to wind up on E-Bay a little while later. Individual CDs and digital downloads will be available next week, but if you can wait till November 16th, CD and vinyl box sets will be released with booklets and new artwork. I may be reviewing the set at a later date. 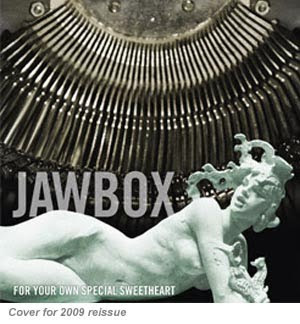 And though the above news may seem much more significant than Dischord/DeSoto’s re-release of Jawbox’s For Your Own Special Sweetheart, this to me is the sentimental gem of the bunch. 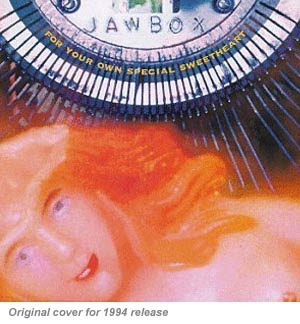 Released in 1994, For Your Own Special Sweetheart was the first major label release for Jawbox, being one of the many indie rock bands enjoying some of that Nirvana-spirited limelight. 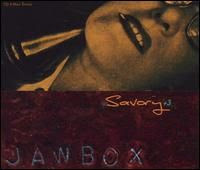 Out around the same time, the band released an EP entitled, Savory +3, which was one of my teenage essentials. I found the EP at a hole-in-the-wall record store for $4 and it received many, many rotations and wound up featured on more than a few mix tapes, especially the track, “68,” which carries a high-timbered riff and murky bass line that still gives me chills. The EP will be included on the new treatment of the full album, which is itself underrated and will hopefully win the band some new fans. For Your Own Special Sweetheart will be out in November. So, I embellished a bit.